Sometimes life can be pretty rough. 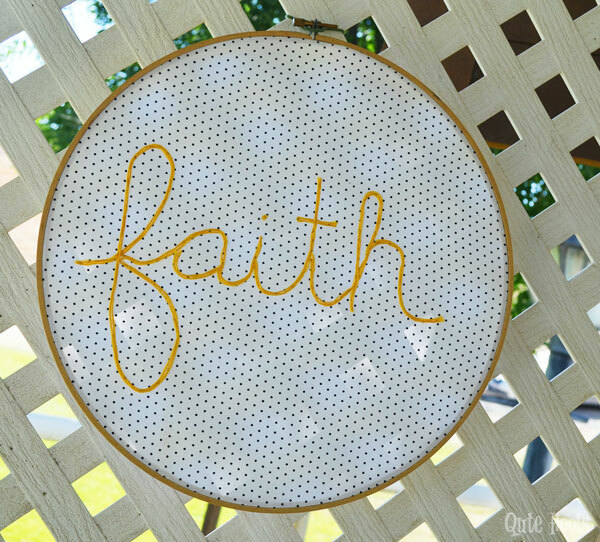 My friend’s sister, Angie, was recently diagnosed with Huntington’s Disease, a horrible disease with no cure, that already took their mother and grandfather from their lives. 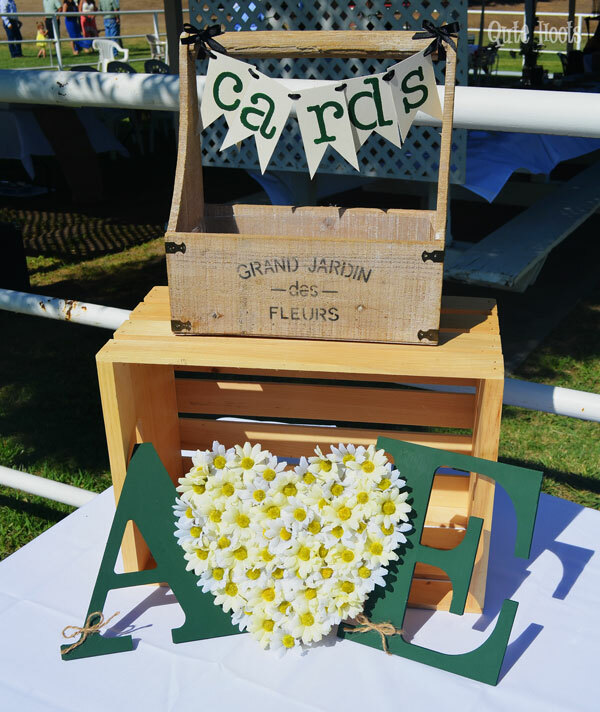 I’m sure we won’t ever understand God’s plan in situations like these, but it was a privilege to be a part of an event that demonstarted an out-pouring of love and support to make an incredible memory for Angie! 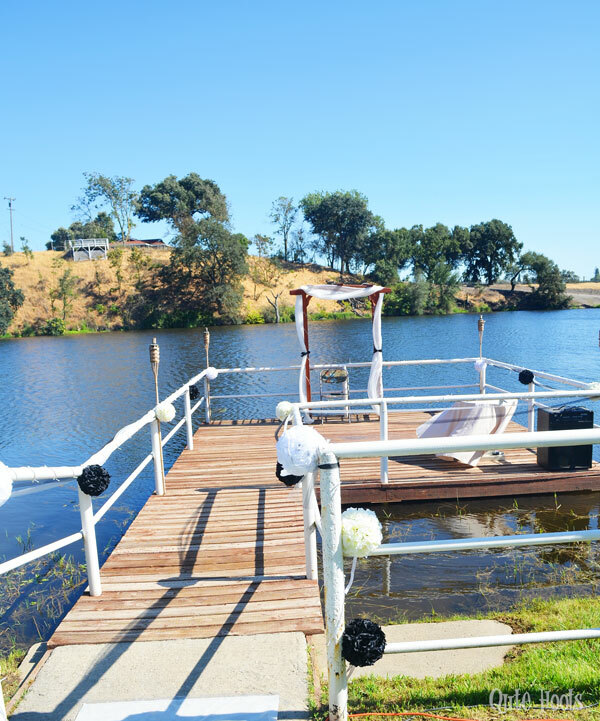 The event was held at a private lake east of Oakdale, CA. 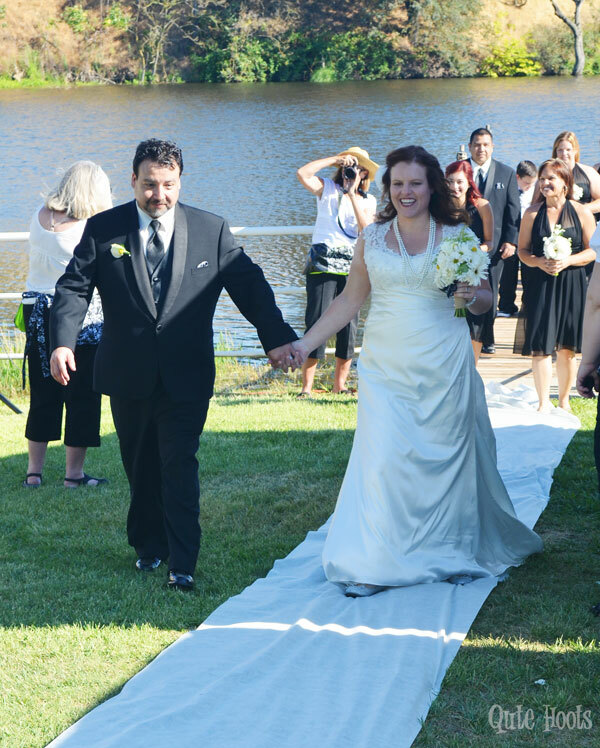 Angie’s aunts, uncles, sisters and cousins all worked so hard to get the site ready and make sure every detail was covered from the band, the food, the cake, and even the dress! My part in the big day was to handle the decor. 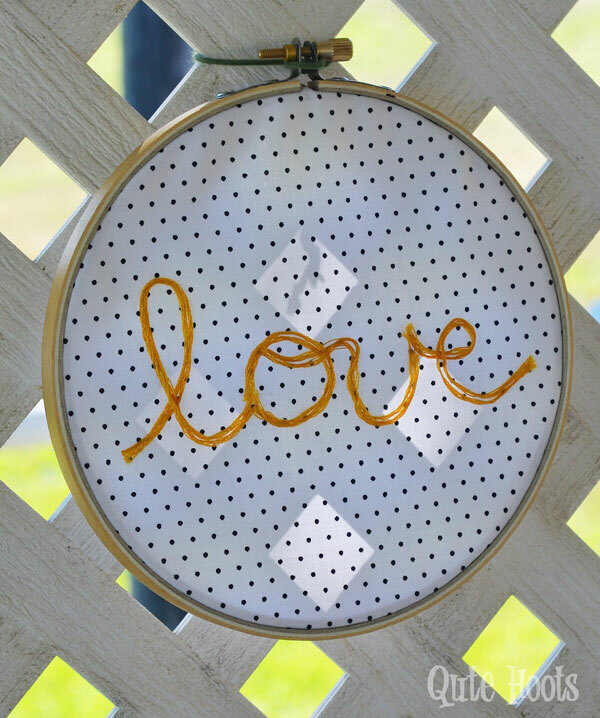 I wanted to make it as low cost as possible since she was on a limited budget but still be the beautiful wedding she deserved. 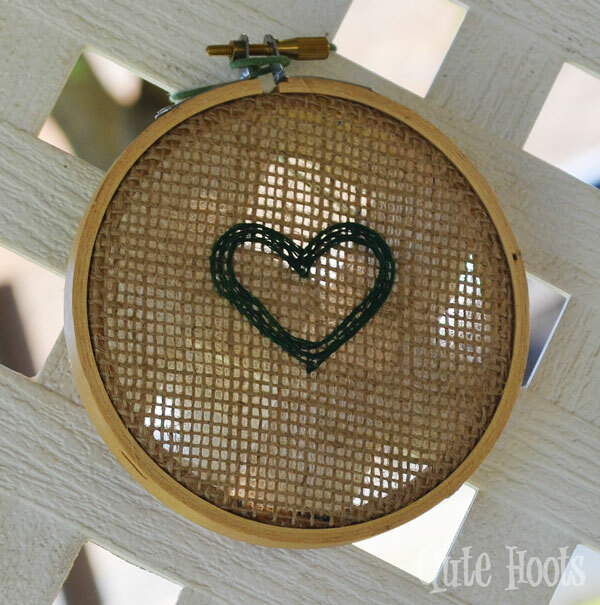 She chose a color scheme of hunter green, black, white and ivory. 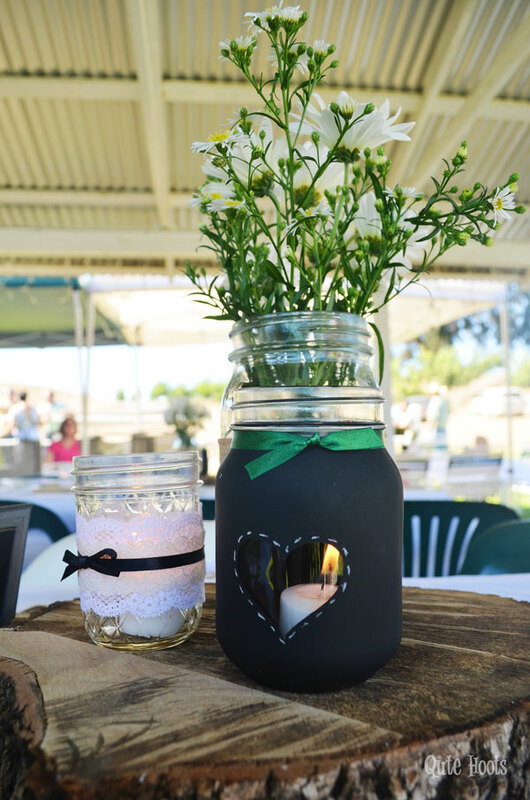 I was able to reuse materials from past projects and get low cost flowers with a deal saver. 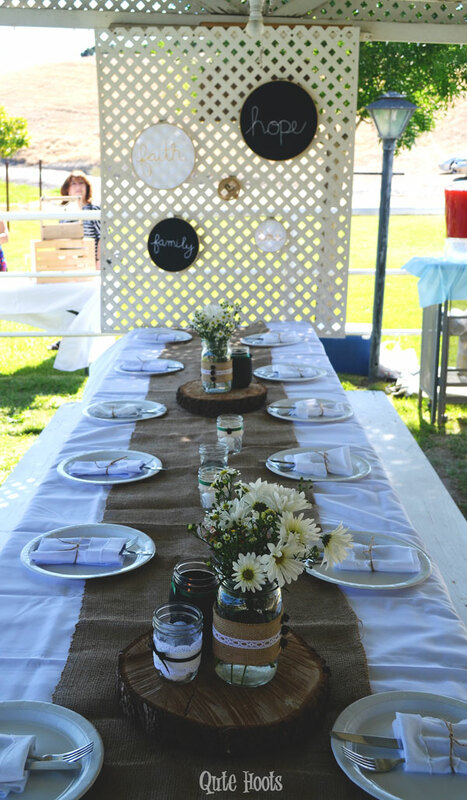 I utilized my own linens and made most of the decor items adding special personalized touches throughout the event. 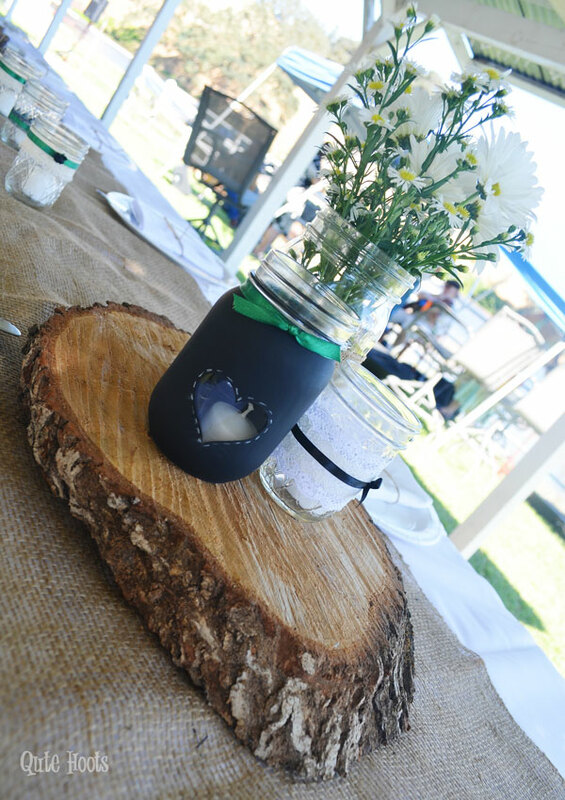 The couple added a few items that were important to them as well. 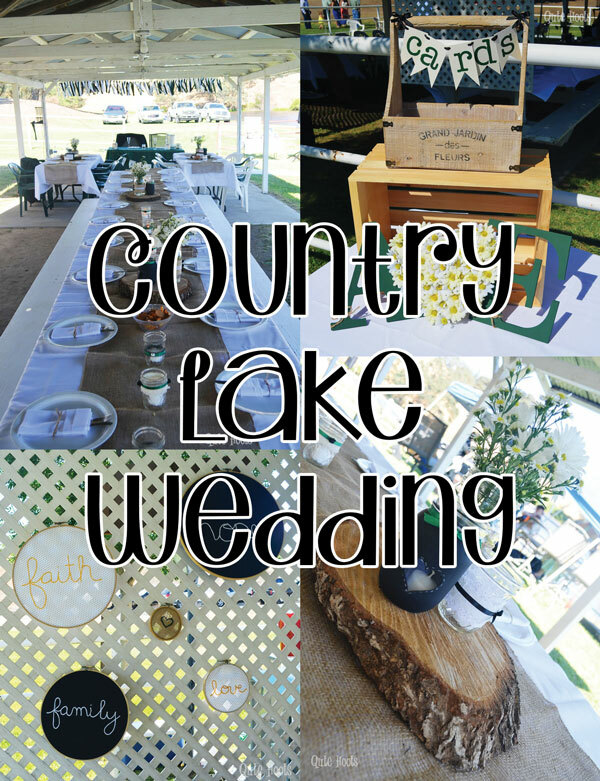 I think I succeeded in making the beautiful and simple country wedding that Angie wanted! 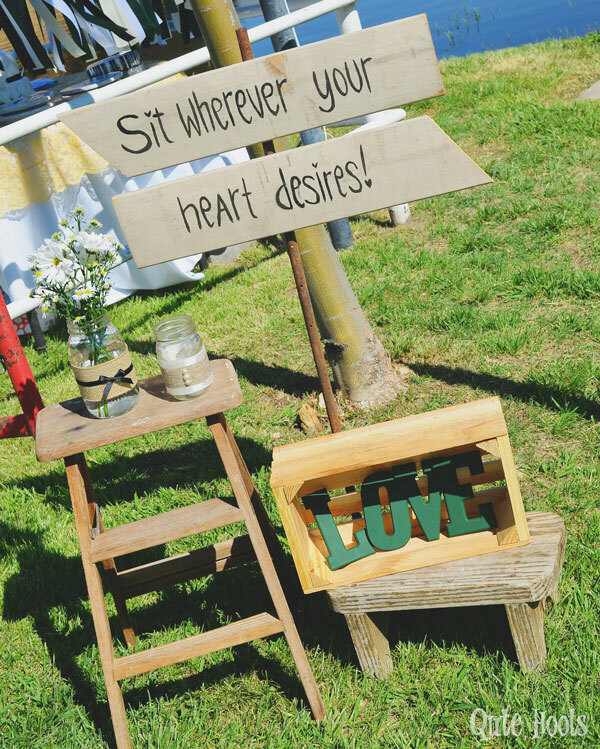 A collection of vintage stools with hand painted seating sign. 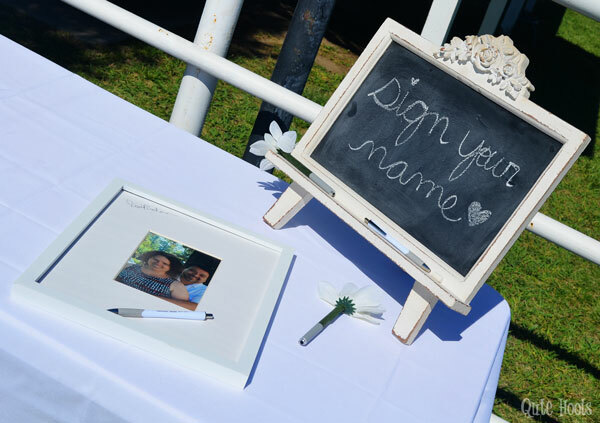 Guests signed a framed photo of the bride and groom. 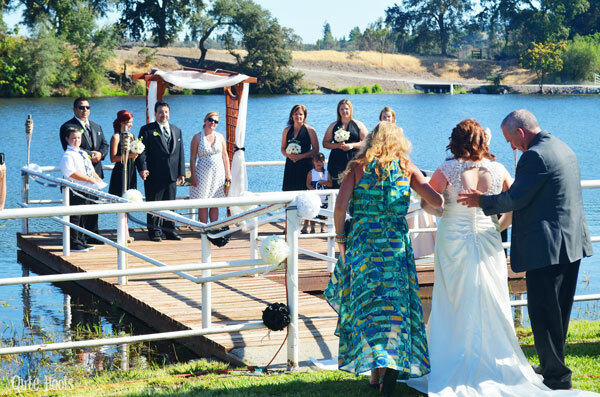 The bride purchased the rose poms for her dock ceremony. 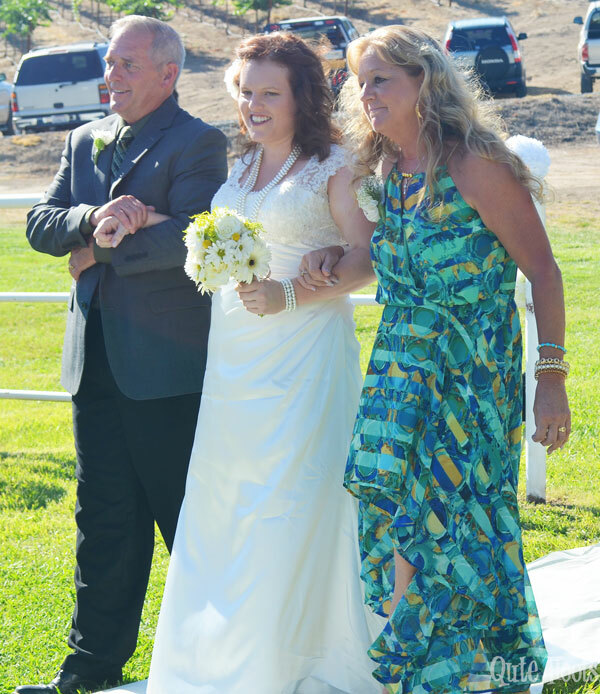 Angie was escorted down the aisle by her aunt and uncle. She looked stunning! The groom eagerly awaits his bride. A look of pure happiness! 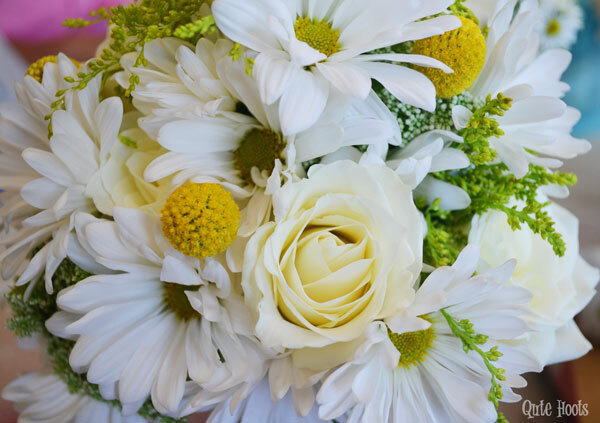 The bride’s bouquet- roses, gerber a daisies, daisy poms, solidago and craspedia. 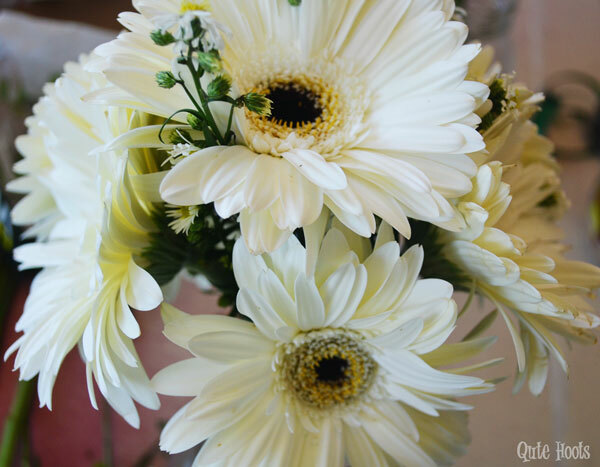 The bridesmaid bouquets- gerbera daisies and monte casino. 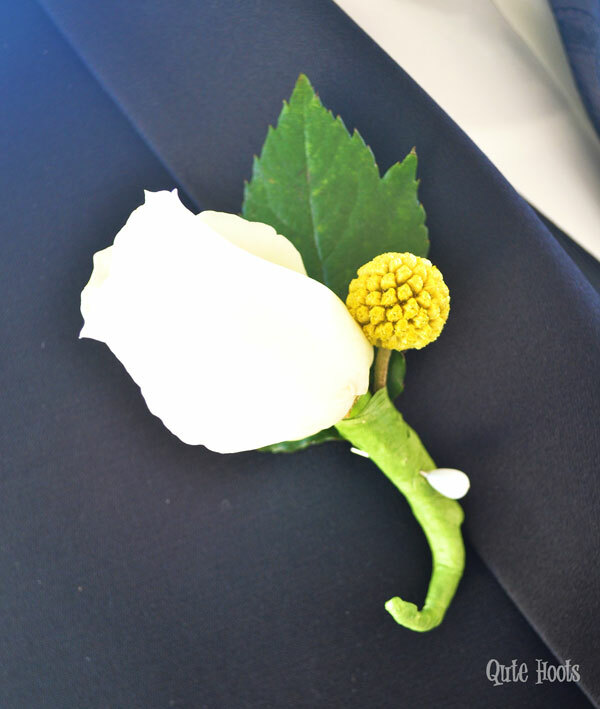 The groom’s bouttoniere- rose and craspedia. 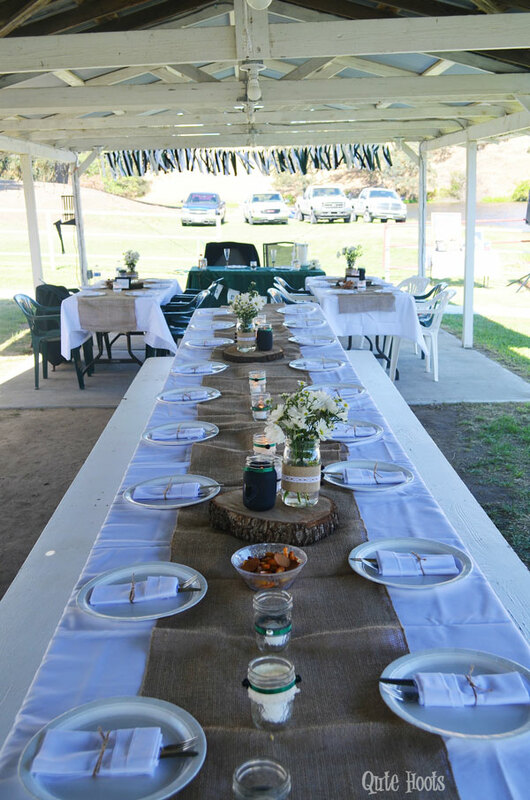 Long picnic tables anchored the reception area. 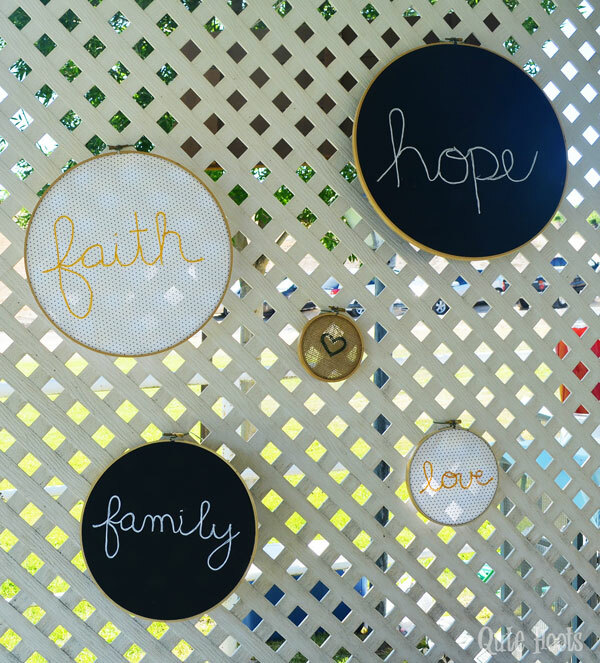 Embroidery hoops with phrases of love decorated the main dining area. 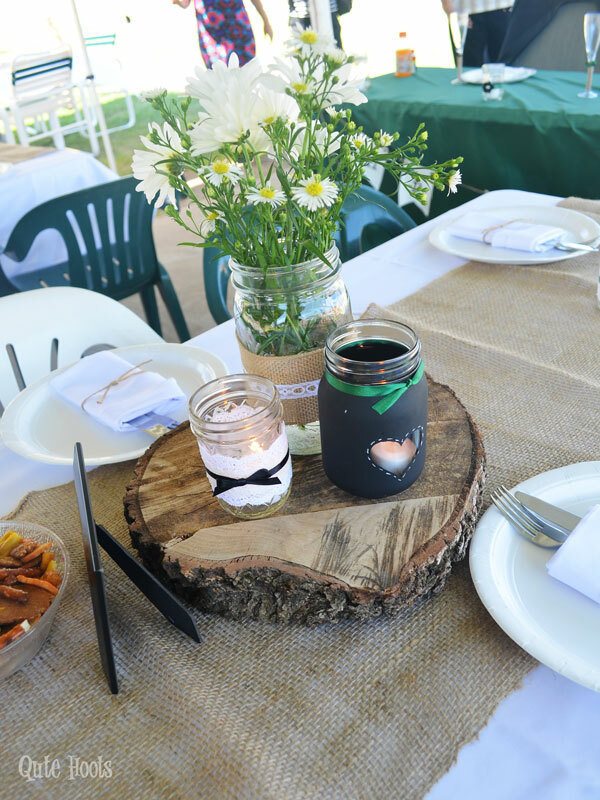 A trio of mason jars on wood slices adorned the tables. 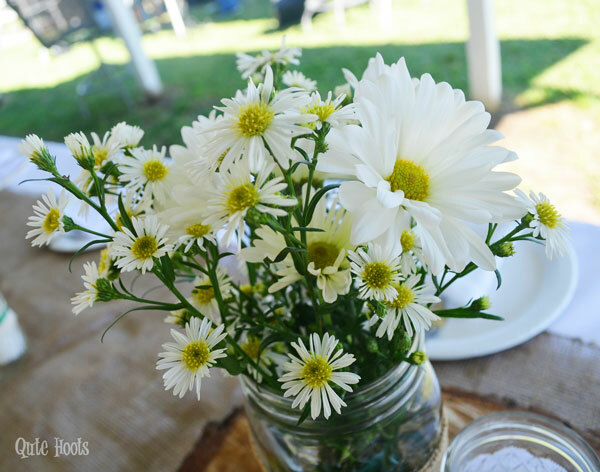 The centerpiece flowers were a combination of monte casino and daisy poms. If you feel so inclined, help fund research for Huntington’s Disease treatments; donate to the Huntington’s Disease Society of America.